People prefer using tablets for core daily activities, according to a new survey by Gartner, with pursuits such as checking email, reading news, social networking and gaming moving from PCs and smartphones to tablets among owners of the devices. The study, which asked 500 people owning tablets in Australia, the UK and US to keep seven-day diaries of their device usage, found 81% preferred the tablet to check emails, 69% for reading the news, 63% for checking the weather, 62% for social networking and 60% for gaming. 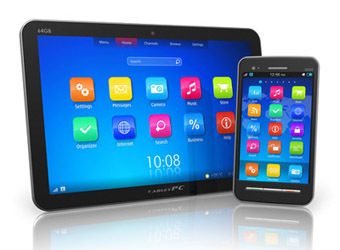 Conducted at the end of 2011 the research aimed to gain a better understanding of how early adopters of tablets were using their repertoire of connected devices. At present, the shift from paper to screen-based consumption is not yet a straight substitution of one medium for another. “We do not believe that the ‘paperless home’ will prevail, but it is clear that the ‘less-paper model’ is the new reality,” Milanesi’s colleague, Meike Escherich adds. The findings hinted at the laziness of consumers, with most preferring the tablet but happy to use their smartphone if it means not getting up to go find their tablet device. On weekends, if the laptop hasn’t been taken out, and because less if any time is spent in front of the computer, respondents use their PCs 20% less. Media tablets play a more dominant role in the home than mobile phones or PCs, with the highest usage taking place in the living room (87% ), the bedroom (65%) and the kitchen (47%). “Weekday evenings are the most popular time to use media tablets, and this usage flattens out during the weekend as people tend to be away from home,” Milanesi says. The survey also found that 45% of respondents never share their tablet with others, pointing to the device being as personal as a mobile phone in terms of usage and consumer attitude.